Every so often we are asked to contribute to a styled photo shoot. We couldn’t resist working with Michelle Gainey of Lemiga Events and Sarah Smith of Simply Sarah Photography. 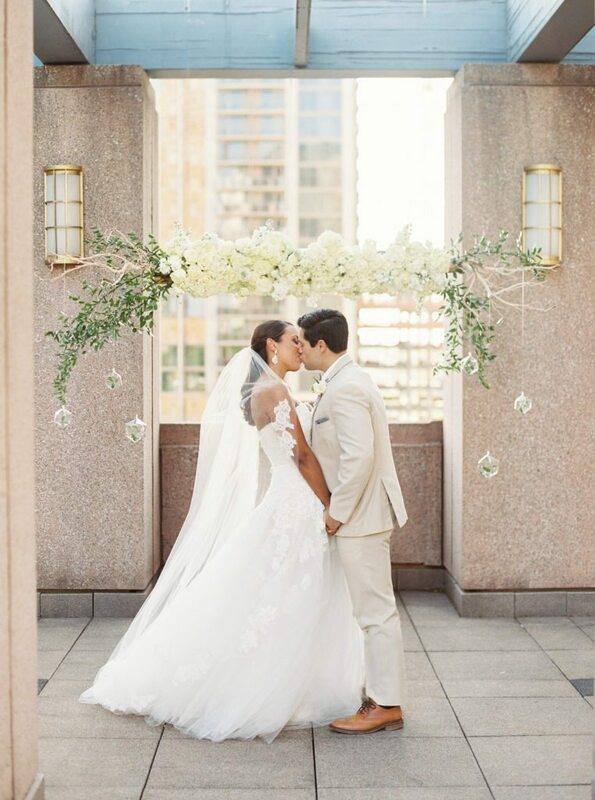 The shoot was scheduled during the summer, so we knew it would likely be a hot one, particularly because it was shot on the rooftop of Four Seasons, Atlanta. As many of you may not consider, summers in Atlanta can be…quite hot and sticky. Our team of professionals really pulled it together, producing a styled shoot aimed to inspire the couple who wish for a romantic city wedding–with a fantastic view and modern elements. The hotel happily provided a park like setting high above the skyline of Midtown Atlanta for our fête . My Floral Bliss created a gorgeous ceremony piece that literally seemed to float over the altar with lush white floral, and floating orbs attached to sand-blasted manzanita, further accented by lush greenery. It was created to add beauty while not distracting from the city view the couple wanted to feature. 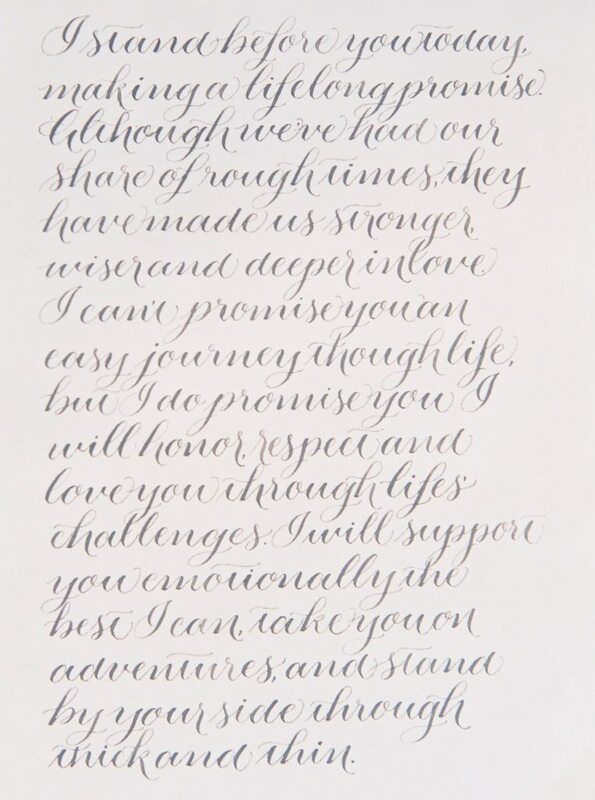 The bride and groom, who are a real engaged couple, practiced their vows during the shoot while holding a Wedding Story Writer white linen letterpress “Vows” vow book with gorgeous calligraphy by Sass and Frass. 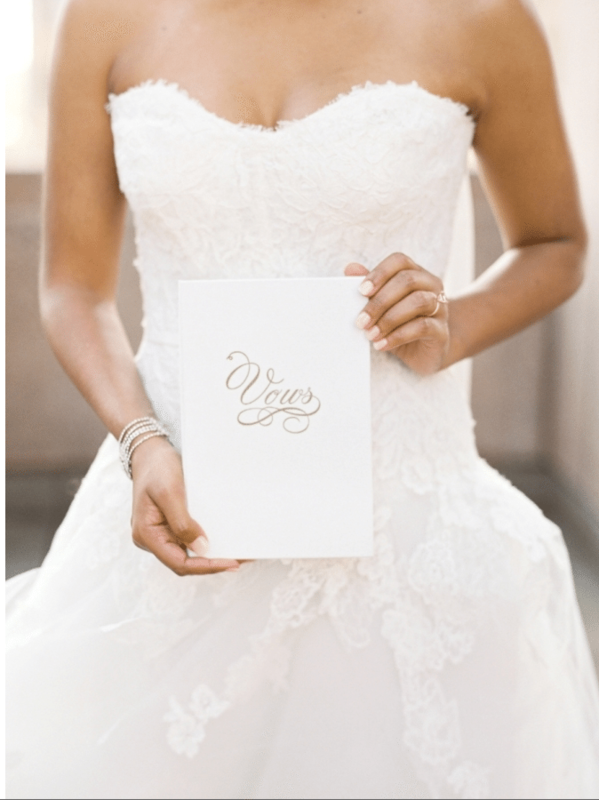 We chose this particular book because it has a clean, chic feel to it. Within the book is a lovely marbled interior and silk ribbon. Kudos to the team! This shoot was published on Style Me Pretty on August 4, 2016.